Featuring a collection of over 100 games, the Xbox Game Pass service continues to add heavy hitters for subscribers to play. While buying individually is still the way most players acquire and play new games, the market for subscription-based game buffets is one of the fastest growing segments of the video game economy. 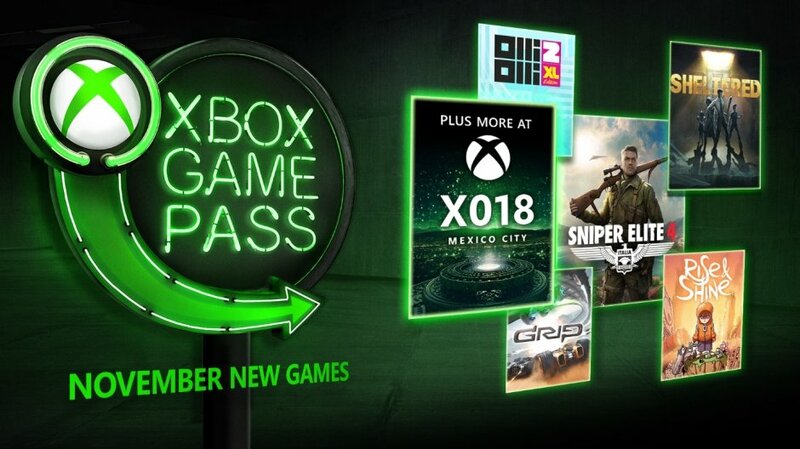 Arguably the most popular service, Microsoft’s Xbox Game Pass gives players access to more than 100 games for a single monthly payment, Beginning in November, the menu will continue to expand as Sniper Elite 4, Olli Olli 2 XL, and others join the popular subscription service. Microsoft made a huge push to attract players to Xbox Game Pass in 2018 by including their biggest releases with the service day and date with the games’ launch, including Sea of Thieves, State of Decay 2, and Forza Horizon 4. Microsoft is promising even more games will appear on the service and plans to reveal more details during the Inside Xbox event on November 10.